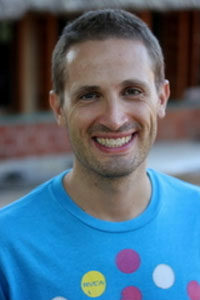 Keith, a Leo, resides in Boulder, Colorado, in the United States. He grew up in upstate New York, graduating from Syracuse University with a Computer Science degree and subsequently beginning a career as an engineer for IBM. Before discovering the spiritual path, he always had a strong drive to “figure things out,” which early in his life meant pursuing academic knowledge and worldly success. For more than eight years, Keith explored a variety of positions within IBM and concluded those years by earning an MBA from the University of Denver. Reevaluating his priorities, he eventually left his career to travel and practice meditation and Yoga. Finding inspiration in masters such as Jiddu Krishnamurti and Shunryu Suzuki, Keith sought out a path in spirituality and began practicing Zen Buddhism in 2009. He lived in a Zen monastery for several years and is a lay-ordained Buddhist, having received the Bodhisattva Precepts from his teacher, Zentatsu Baker-Roshi. In 2011 Keith read a description of Hridaya Yoga on the Internet and immediately knew he needed to meet Sahajananda and practice with him. He traveled to Koh Phangan and did several Hridaya Retreats. 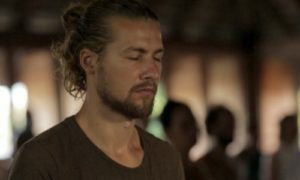 Since then, he has fully committed to a life of practice, continuing his Zen practice as well as Yoga and meditation practices with both Swami Vivekananda Saraswati on Koh Phangan and Sahajananda in Mazunte, Mexico. Keith’s continued attraction to spirituality comes from a deep desire to know himself, to deeply understand the nature of existence. In 2013, following an inspiration to teach and to share Yoga and meditation with others, Keith graduated from both the Agama Yoga TTC and Hridaya Yoga TTC and has incorporated teaching into his spiritual path.